The past year has seen us transform Dunham Massey’s Great Hall into an immersive space for sight and sound. 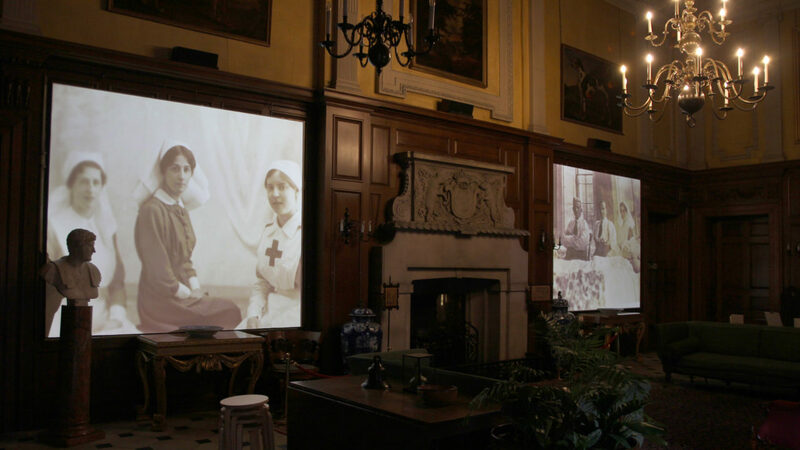 The current film ‘Remembering Stamford Hospital’ uses letters and oral histories, along with new interviews and archive footage, to bring to life the house as an auxiliary hospital in WWII. This installation, along with more films currently in production, allow this National Trust place to illuminate details of their history in an engaging and adaptable way.